Hip surgery or total hip replacement is the best thing to omit ‘hip pain‘ from your life. Hip pain starts for several reasons and a yes, it is a fact that women suffer very much from a very tender age due to this issue. Osteoarthritis is the major issue behind hip pain and stiffness in any kind of movement. There are no set rules when it comes to hip replacement. It is widely known that hip replacement surgery is a life changing procedure and this is closely associated with older patients. Life with a worn hip becomes so difficult that people are opting for the advanced methods more nowadays. The following signs may indicate hip arthritis or be symptoms of other problems. The best way to accurately diagnose the state of your hip is to speak to hip replacement surgeon and have an X-ray. Here are four signs it may be time for a new one. This is one of the basic issues that arise in almost every case of hip replacement. And it will cause soreness during or after exercise or pain that interferes with your daily activities. This could also be a sign of hip arthritis. Hip pain is closely associated with the pain localized between your hip and knee. If the pain is lower down towards the ankle the problem might be caused by back problems. In some cases, it has been seen that the people are walking or completely relying on a walking stick or compensating with a limp. Others regularly take painkillers to deal with the pain. 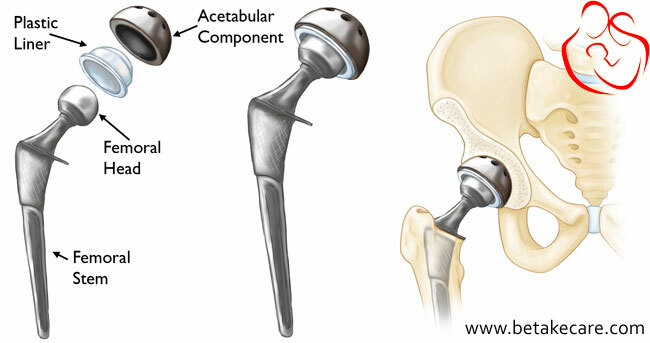 Stiffness is one of the major issues or fractures and thus calls for the requirement of hip replacement surgery. In this case, a patient may find difficulty while putting their shoes or socks. It is a common sign of stiffness in your hip, especially if one foot is more difficult than the other. If this is an ongoing problem, you should speak with a specialist or must visit hip replacement hospitals. Sometimes stiffness can also cause to brittleness and this is more difficult for a person to handle it. It is always better to handle this case with utter care and immediately consult with an orthopaedic doctor. If your hip or groin pain is stopping you from sauntering or sitting or while walking then this case is the one you should look into. Sometimes, these prevent you from even walking normal distances. At those times, you should speak out to an ortho specialist. It all depends on your lifestyle, how much distance you can cover while carrying such concern able issue. If you can’t stand on your problem leg for longer than a minute there you should consult with an orthopaedic surgeon or doctor. If you can’t even walk without the support of a door frame or table-top for balance, then you might have a badly damaged hip. Most hip problems can be resolved without a full hip replacement. There is a range of treatments available, including physiotherapy and medication that may better address your symptoms.